Trying To Decide Between a Bridge and Dental Implants in Plano? Tooth loss has countless effects on your oral health and overall quality of life. And, since there are multiple causes such as gum disease, genetics, accidents, and poor oral hygiene, it’s no wonder that an estimated 178 million Americans have lost at least one tooth! The good news is that there are more replacement options than ever before, including traditional options like bridges and relatively newer options like dental implants in Plano. In this blog, you’ll read about the differences between them and find out why implants are often a better choice. Learn more below! 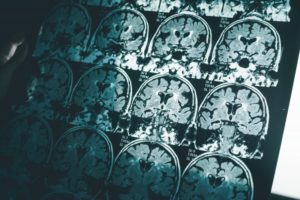 Is Gum Disease a Cause of Alzheimer’s in Plano? Everyone knows that what happens in your mind can come out of your mouth, but did you know that it’s a two-way street? What happens in your mouth can affect your mind — specifically, gum disease may have a profound impact on your long-term mental health. Recent, groundbreaking research has discovered that periodontal (gum) disease may actually be a cause of Alzheimer’s in Plano. Let’s take a closer look at the science. Once you understand it, you’ll likely be more motivated than ever to maintain a clean, healthy smile! Are you or someone you love dealing with chronic Lyme disease? This condition affects the body in multiple ways and can significantly impact someone’s energy levels and overall quality of life. 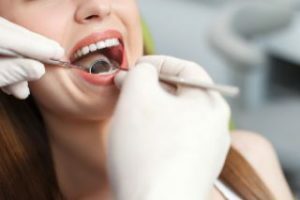 Since the mouth is a gateway to the rest of the body, it’s important to maintain good oral health by seeing a dentist in Plano regularly and practicing good habits at home. 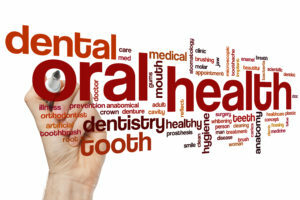 Keep reading to learn more about the chronic Lyme and dental health connection and how you can improve both! Dentist In Plano Thanks Their Patients For Over 300 Rave Reviews! Preston Bend Dental has recently reached a milestone! We’ve gotten over 300 5-star reviews from our amazing patients, and the entire staff couldn’t be more excited and grateful. We don’t take the relationships we’ve built for granted and look forward to many more years of being your dentist in Plano and providing outstanding dental care to the community. Keep reading below to hear about the kind of service we provide and what so many of our patients have said about their experience with us! Tired of the Same New Year’s Resolutions? 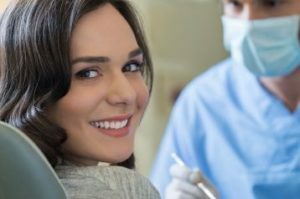 Schedule With a Dentist In Plano Instead! It’s that time of year again! Time for making changes that improve your life – more commonly known as a New Year’s resolution. But if you want to do something different than the usual exercise or weight loss plan, why not consider a dental cleaning plan instead? It’s very common for people to put off getting dental care, but that has more serious consequences than you’d expect. Not only do checkups prevent the need for major dental work, but they also keep your entire body healthier as well. In this blog, you’ll find out how a checkup is so much more than just a cleaning and why, when it comes to having a healthy smile, 2019 is a great time to turn over a new leaf! Got a Gastrointestinal Disorder in Plano? It Could Harm Your Smile! Gum disease and tooth decay are the biggest threats to long-term oral health, but at-home brushing and routine dental visits may not be enough to prevent dental problems if you have an underlying condition. You may have heard about the growing amount of research linking gum disease and cardiovascular conditions, but did you know that gastrointestinal disease could create a negative impact? Seventy million people suffer from digestive issues according to the American Nutrition Association. If you have a gastrointestinal disorder in Plano, take a moment to learn how your condition can impact your teeth and gums. Have you ever watched celebrities on television walk down the red carpet at an awards ceremony and think, “I wish my teeth were as white as theirs.”? They can be! You do not have to be an A-lister to have a radiant white smile. 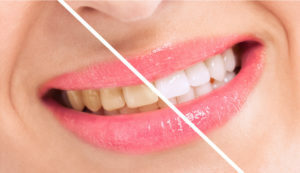 If your teeth have grown darker or discolored over the years, professional teeth whitening can help restore them to their dazzling best. 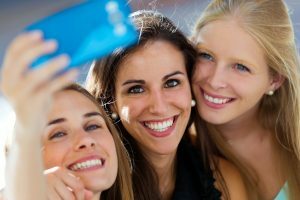 From in-office whitening to professional take-home kits, here is everything you need to know about how professional teeth whitening in Plano can transform your smile. You know that persistent ache in your jaw that bugs you all day long? It might be because of TMJ disorder, or maybe you just took a hard hit during your company soccer game. 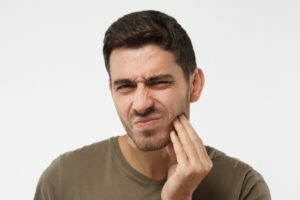 Either way, that jaw pain falls under the definition of “orofacial pain.” What exactly does this term mean, what causes it, and how can you find relief? Let’s talk about this important and fascinating subject. Do Hot and Cold Make Your Teeth Hurt? What Causes Sensitive Teeth? Texture, taste, temperature — all things that are part of the experience when you consume a delicious meal or sip your favorite beverage. However, sometimes the temperature aspect of foods and drinks can make your teeth hurt. You might even experience pain when cold air touches your chompers. What causes sensitive teeth in Plano, and how can you address this condition so you can go back to enjoying your favorite goodies without worrying about pain? How Do I Find an Emergency Dentist in 75024 on Vacation? Summer break is practically here. Countless families go on vacation during this time of year and sometimes, there’s an unexpected emergency that takes place out of town—a dental emergency to be exact. What do you do? Or, if you’re out of town and coming to visit the DFW area, you need to know how to get in contact with an emergency dentist in 75024. At Preston Bend Dental, we know that there are some things you can do to prepare yourself for a dental emergency. Here’s some help with vacation dental emergencies. Comments Off on How Do I Find an Emergency Dentist in 75024 on Vacation?